In December 2009. Margaret was unbelievable. She took control of the sale of my home after other real estate agents had no luck. I could not sell my home because of the high taxes on Long Island. Margaret sold my home, like she was selling her own home. She was very considerate, patient with anyone coming to see the home and she showed it herself. Thank you Margaret. If I still lived in NY and had another home to sell, she would be the first I would call.....great job! Margaret was the agent that sold my first house 8-9 years ago. This past week she sold another for me. Margaret is more than an agent. Today, after all these years, she is my true friend, through thick & thin and everything life has thrown our way in between. If you are looking for an agent to either buy or sell a home, and want more than just that...there is NO ONE else I have met in this profession that takes the time she does. Honesty, Integrity & Professionalism are truly what Margaret lives her life by. Call her - you'll be happy you did!! Awesome Agent! Very knowledge, friendly and patient. She helped me sell my house and buy my new home which I love! Thank you Margaret! Great agent - Had great help with everything very patient and professional answered every questions dirent know would find out just a great person would recommend to anybody and everybody. Best agent on LI. Margaret is knowledgeable, patience and always listens to what you have to say. 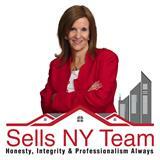 She truly is the best agent on Long Island! Great agent -My overall experience was great with the agent. I have finished my whole buying process very smoothly. Margaret and Alan thanks both of you for your great service. Margaret is as professional as could be !! Always there for us when we needed her . Day or night. We never met anyone as dedicated to her profession as she is. We highly recommend her to anyone looking for an honest, friendly, hard working and dependable agent. We think of her as family now ,and have become good friends. Gold star service from her indeed! It is our (my wife & I) utmost pleasure to have worked with & continue to work with Margaret Bzdewka & her team. The sale of our house could not have been a smoother process. No situation is perfectly setup. Ours was certainly no exception. We had tenants. It’s never easy to “force” your tenants to leave. Margaret and her team made sure to handle the situation with ease and poise. Not long before, we were pleasantly surprised, our tenants evacuated our premises. Fast forward to enticing prospective Buyers, I’m not one who is keen for open-houses, as I don’t walk around my house in any type of footwear, and therefore, didn’t want anyone to do so. Again, Margaret & her team did not impose upon us. They worked with us. Nonetheless, we had more offers than we imagined we would have so quickly. Offers were even more than we initially bargained for. All along & throughout this process, Margaret kept us informed, as she worked with her team and some worked with the Buyers, directly. Closing was rescheduled ~3 times, but that’s what happens when you have 5 or 6 parties trying to find the right time and place to meet. Par for the course. All in all, my wife and I would most certainly & highly recommend Margaret Bzdewka and her team from Keller Williams. It couldn't have been a more pleasing, smooth, and rewarding process. We are extremely happy that we were recommended to you from our great family-friend, Cindy Sookram from KW in Bethlehem, PA.
Margaret & team were incredible! They were patient and worked with my fiancé and I who are first time home buyers. It was just like working with family. The best service and the most professional! Margaret and Kevin were the best team a buyer could ask for. They were patient and understanding. They never tried to force or rush me into buying a property and they took their time with me. They gave me direction and insight throughout the entire process. They exceeded my expectation and I would highly recommend them to anyone looking to a purchase a home. I am an agent who worked a first time home buy with one of my clients on a listing Margaret had in Lindenhurst, NY. All I can say about Margaret is that we meet certain people that are just good business people and make things run smoothly. As a matter of fact, although we are not associated with the same brokerage, I use Margaret as one of my three mentors in the industry who I trust to go to when I need guidance on any of my deals. She is a real jewel to our industry!